Payment options:*Please Note* Our new online Checkout is 100% safe and secure. 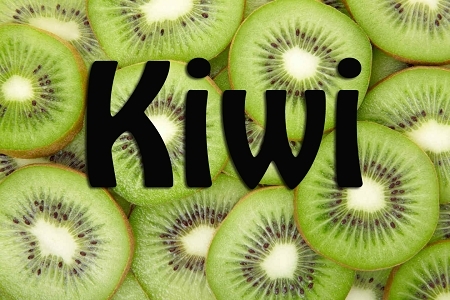 A distinct, sweet Kiwi -tasting flavor that you won’t forget very easily! Our E-Liquids are made from US Pharmacopoeia Grade Propylene glycol. Sometimes called PG. It is a clear, colorless liquid. . Propylene glycol is used in flavor solutions and extractions. It’ can also be found in many baby care products, toothpaste and mouth washes among many other personal care items. We also use US pharmacopoeia Grade vegetable glycerin which is extracted from vegetable oils. VG is clear and colorless with a naturally sweet taste. It is digested easily and is often used as a substitute for sugar in soft drinks and coffee & tea flavors. Here at Liquid Coast, we spare no expense to bring you the finest E liquid ingredients that money can buy. So Please try one of our E liquids today and be sure to tell your friends about us.